Superparamagnetic iron oxide nanoparticles (SPIONs) have recently gained interest due to their low toxicity, biocompatibility, magnetic potential, and catalytic nature. Their biocompatible nature makes them suitable candidate for biomedical applications. SPIONs are considered as inert and used in different areas such as imaging, targeted drug delivery and biosensors. 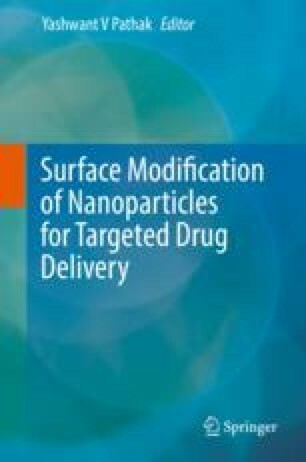 Their surfaces can be modified using different coating and labeling agents which has broaden their role in diagnosis and nanomedicine applications. SPIONs have got wide range of applications in biomedical and healthcare industry such as drug-delivery vehicle for chemotherapeutic drugs, an agent to induce heat mediated killing of cancer cells (hyperthermia) and as contrast agent in magnetic resonance imaging (MRI). More often SPIONs are used for simultaneous image guided delivery of chemotherapeutic drugs to the tumor cells and hyperthermia is used synergistically to enhance the overall lethal effect of the whole treatment process toward tumor cells. In this chapter, we discuss different strategies for surface modification of SPIONs and their applications for diagnosis and treatment of lung cancer. Chen, C., Yu, H., Xia, R., Wang, L., Ai, H., Liu, S., Xu, Z., Xiao, X., & Gao, F. (2014). Magnetic resonance tracking of endothelial progenitor cells labeled with alkyl-polyethylenimine 2 kDa/superparamagnetic iron oxide in a mouse lung carcinoma xenograft model. Molecular Imaging, 13. https://doi.org/10.2310/7290.2014.00030.